What makes the Cosmos so attractive to us? Will life on Mars be possible one day and what skills do we need to survive there? Reaching the Cosmos has long occupied humans’ minds from the classrooms across the world to the modern NASA laboratories. 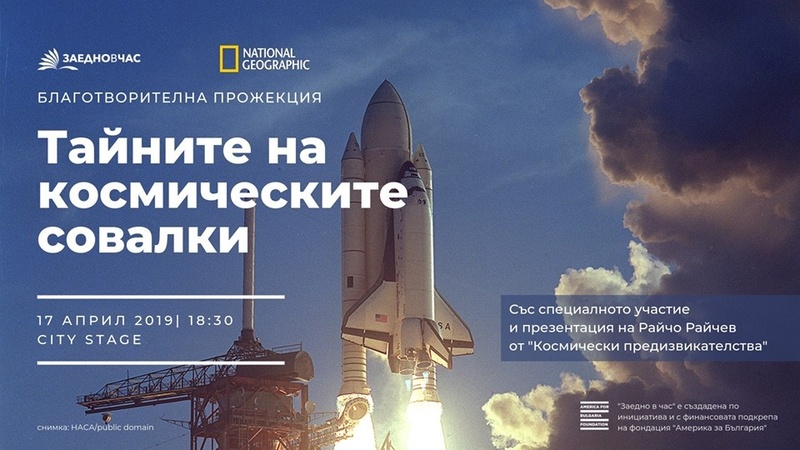 Join us for an exciting adventure to space at the charity screening of the National Geographic documentary “Secrets of the Space Shuttle” on April 17, 18:30 at City Stage. Created half a century ago, the space shuttles are a huge leap in our efforts to discover the secrets of space. National Geographic’s documentary will reveal more about NASA’s Space program. The event is organized by Teach For Bulgaria, supported by the National Geographic channel. The film will be in English with Bulgarian subtitles. All proceeds from the event will be invested in training and support of teachers in the Teach For Bulgaria program, who inspire curiosity in their students and encourage them to follow their dreams.